Includes Five Years of Free Online Access on the Grey House Online Platform, plus a link to this content can be added to your Salem Press landing page. 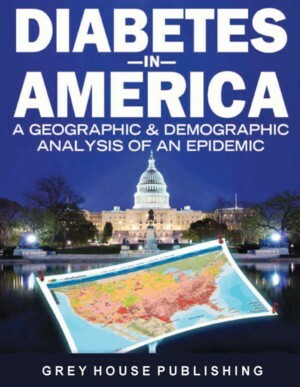 Diabetes in America: Analysis of an Epidemic charts the geographic and demographic prevalence of people with Diabetes nationwide, by state and by district. This important title provides the reader with statistical comparisons of incidence, prevalence, costs and other relevant analysis of Diabetes across the US - at the nation, state and district level. Comparative Ranking Charts compare all of these statistics at the national, state and congressional district level - a quick way to see how a given state, territory, or congressional district compares on a number of topics relating to diabetes, including prevalence, hospitalization, and diabetics. Diabetes in America: Analysis of an Epidemic combines charts, reports, 4-color maps, rankings and comparative information on the prevalence of Diabetes across the country. This new series will be an important acquisition for public and academic libraries, government agencies and healthcare reference collections. Includes Five Years of FREE ONLINE ACCESS to sortable ranking tables on the Grey House Online platform, plus a link to this content can be added to youe Salem Press landing page. 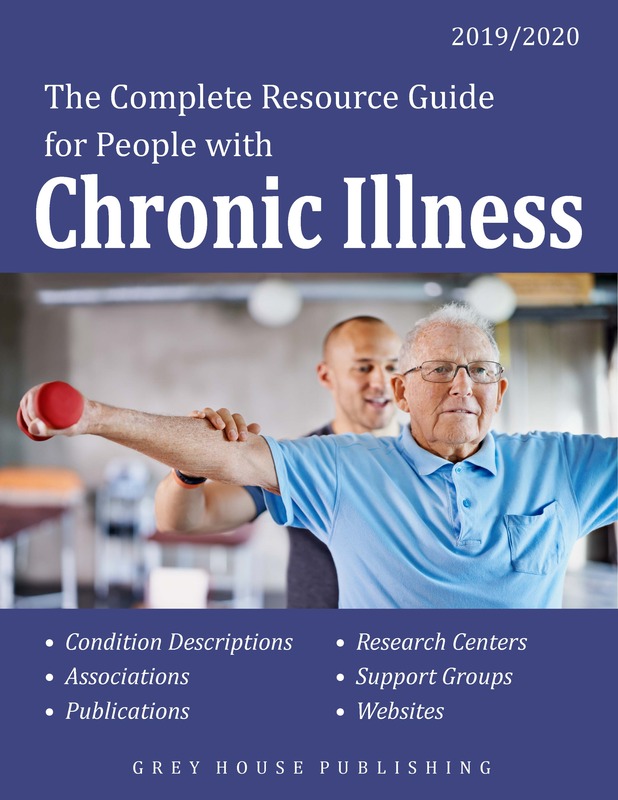 The Complete Directory for People with Chronic Illness provides a comprehensive overview of 80 chronic illnesses and information on condition-specific support services and resources. This new edition has been designed to offer assistance to all those involved in the chronic illness community, with resources for patients, families, healthcare professionals, and other caregivers. 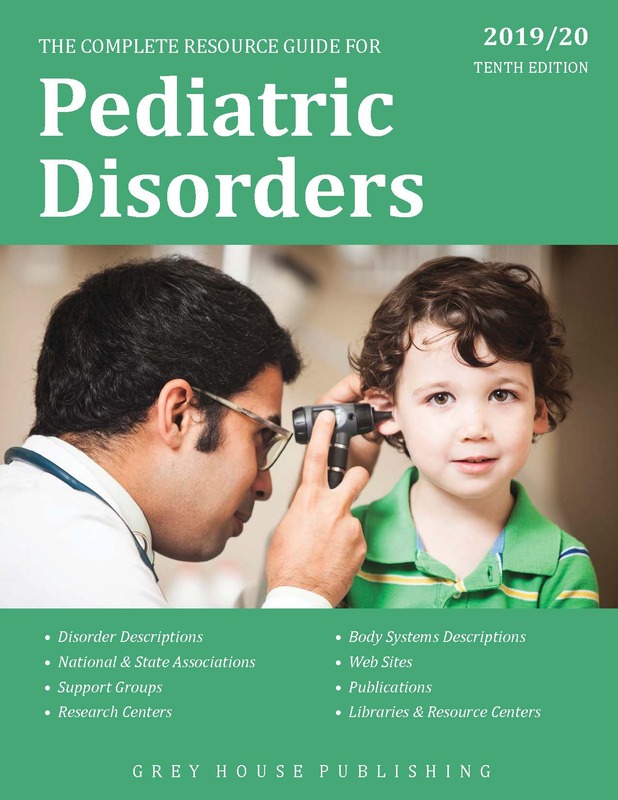 The Complete Resource Guide for Pediatric Disorders, 2019/20 provides current, understandable medical information, resources and support services for over 200 pediatric disorders. A repeat winner of the National Health Information Awards “Honoring the Nation’s Best Consumer Health Information Programs and Materials” award, this reference work provides vital information for afflicted children and their support network, including family, friends, and medical professionals. This reference work includes 8,000 listings, and each listing has updated contact data – address, phone, fax, web site, e-mail – and helpful descriptions. Users will find 6,000 fax numbers, 5,000 e-mail addresses, 7,000 web sites and 14,000 key executives – many more data points than the last edition.